This is a commissioned piece. I will be posting my progress on this. It is a salmon skin and moose hide trinket box. Measures approximately 2inches square. 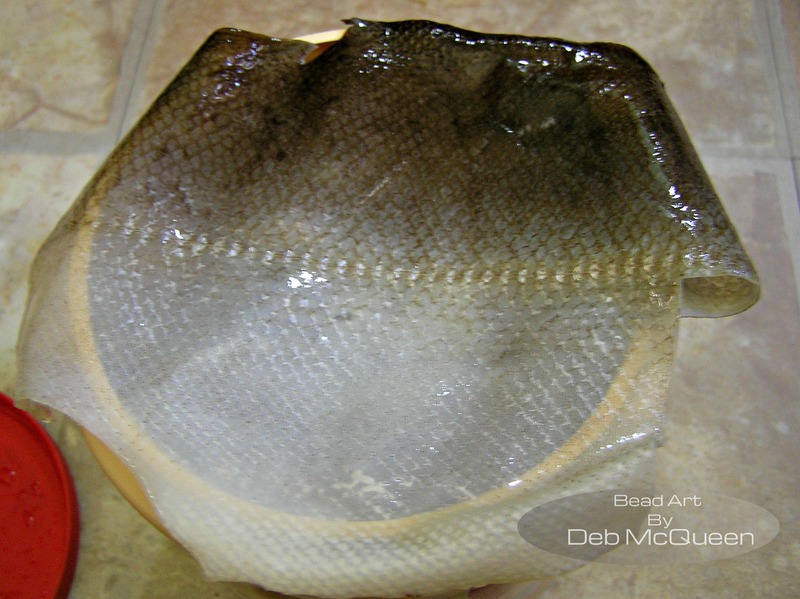 The salmon skin pieces remain soaking in cool water until needed. I like to work with wet skin, easier for me to sew. The box will also need repeated soakings as it dries out while I am working on it.